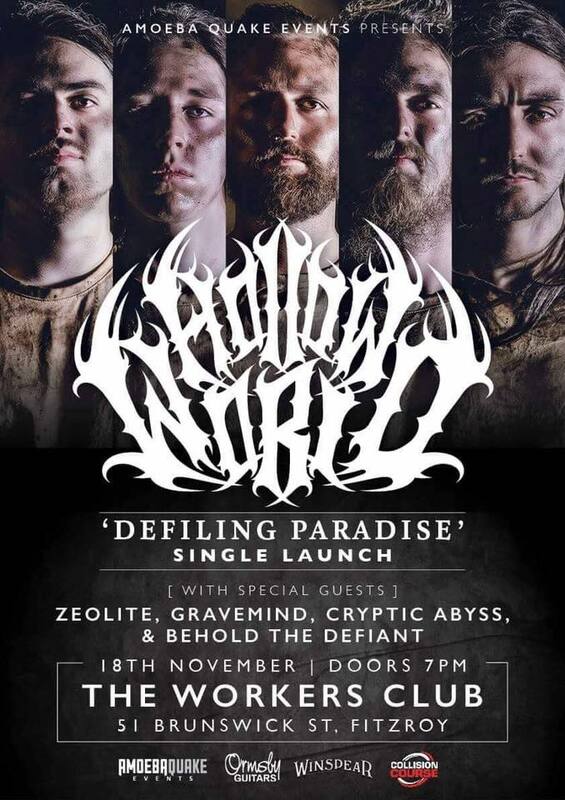 Hollow World – a melodic death metal band based in Melbourne, formed in late 2012. 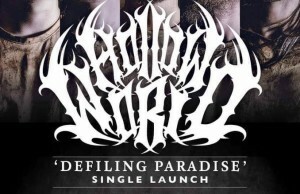 Today they are announcing their new single “Defiling Paradise” will be available to the world on November 25th in all online stores and that they are launching the single at Melbourne’s Workers Club on Friday November 18th. Lochlan Watt premiered the track on radio last night on triple j’s The Racket. ‘Defiling Paradise’ was recorded with Systematic Productions’ Ermin Hamidovic, along with the rest of the forthcoming album. ‘Defiling Paradise’ is not only the first taste of new music from the band, but also the opening track to the album – in which these ideas are further explored throughout the record. Hollow World has shared the stage with Plini, At The Gates, Ne Obliviscaris, Psycroptic,King Parrot, Be’lakor, Boris the Blade, Make Them Suffer, Bleeding Through,Frankenbok and ROME. Hollow World have been prolific in their releasing of music over their career, releasing their 5-track debut EP “Beneath the Frozen Sky” in November 2013, 2014 saw the release of single Silence and in 2015, EP “The Wrath Kept Within”, which featured single and video “Valley Of The Ghelgath”, was released.